← Is It OK to Trace in Art? What’s the Deal with All of Those Colored Pencils? It’s great that there are so many different forms of colored media out there for artists to use. Many are produced in pencil form, attracting the multitudes already conditioned to the feel and familiarity of using a pencil. Pencils filled with a colored medium can be found almost everywhere. I’ve even seen colored pencils sold at a gas station. Because manufacturers are constantly engineering new products and packaging them in pencil form, the options for the artist continues to grow. It is exciting for sure, but a new problem arises out of such diversity, and that problem is confusion. The tendency is to categorize all of these new products as “colored pencils”. After all, a pencil that has a colored medium encased in wood is a pencil that is colored – right? I wish it was this simple, but it’s not. All of these “new” products are not technically “colored pencils”. You see, the medium that you use dictates the manner in which it should be used to reach its full potential. And while it should be noted that you can use any medium that you wish, in any manner that you wish, there are limitations and methods which are optimal for performance. In order to get the most from the medium that you use, it’s important to “know” the medium that you are using and how to get the most from its use. In this post, we’ll explore a few of the many choices of “colored pencils” that are available for the artist. I use the term colored pencils in quotations because as you’ll see, they are not all colored pencils in the traditional sense. Most colored mediums feature a binder that holds the pigment together, allowing it to be transferred to a surface. The binder is extremely important as it dictates the methods used to apply the medium. The binder is what ultimately defines the type of “colored pencil”. Because different types of pencils use different binders, the approach taken by the artist is also different. Let’s first define “true” colored pencils. Traditional colored pencils vary greatly in quality, but all of them either have an oil or wax-based binder. Wax-based colored pencils are far more common. The quality of the pigment used and the ratio of binder to pigment affects the quality of the pencil and the resulting mark. 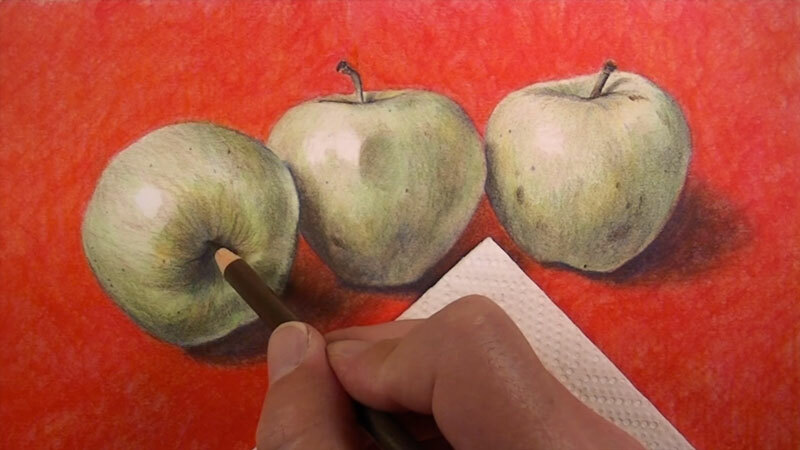 Colored pencils can be easily layered and mixed directly on the drawing surface. After multiple layers have been applied, colors can become quite complex. 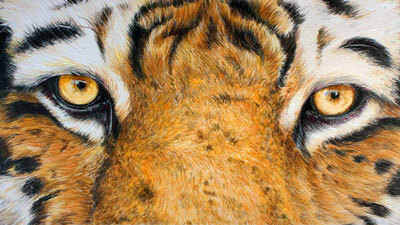 Perhaps the most appealing characteristic of traditional colored pencils is the fact that the color can be burnished. Burnishing is the process of building up a heavy application that fills the tooth of the paper, exploiting the oil or waxy binder to produce images that resemble paintings. To get the most from burnishing, you still need to be aware of the binder of the pencil. For example, oil-based pencils react more effectively to applying solvent (Turpenoid). Wax-based pencils react more effectively to using a colorless blender. Neither wax-based or oil-based colored pencils are water-soluble, as we’ll see with the rest of the “colored pencils”. Watercolor pencils are not traditional colored pencils. And if the artist tries to use watercolor pencils as colored pencils, they are likely to become frustrated. Watercolor pencils do not layer in the same manner as colored pencils and they cannot be burnished in the same manner either. This is simply because watercolor pencils feature a different binder. This means that watercolor pencils are technically a completely different medium all together. 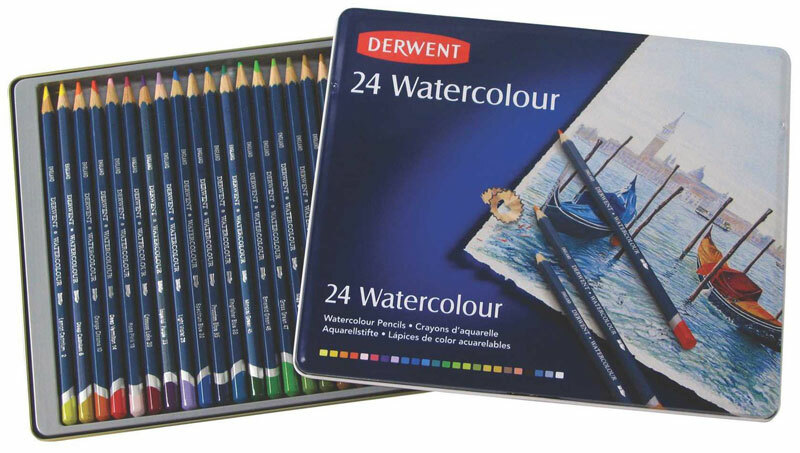 Watercolor pencils feature a water-soluble binder that disperses pigment when water is added. Color can be added to the surface with the pencil and then brushed with water to “activate” the medium. This produces a look that is very similar to a watercolor painting. The pencil can also be wetted with a brush or dipped into water before making marks on the surface, producing intense color. 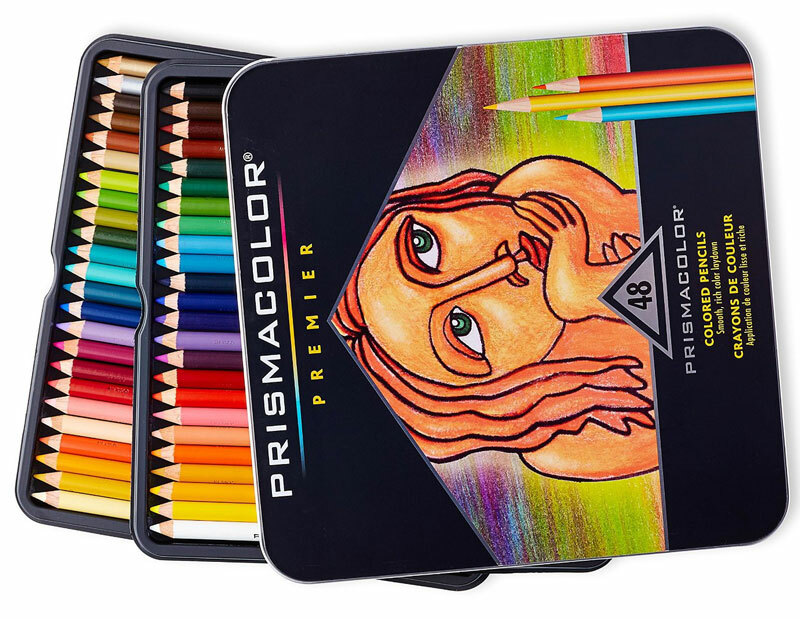 Watercolor pencils can be used with colored pencils, BUT it is advised to use traditional color pencils over the top of watercolor pencil applications, after they have been activated (unless a “resist” is desired). A third category of “pencils” exists called water-soluble graphite. Mostly, this medium is produced as traditional graphite – in a value range of grays. Softer forms produce dark values when activated with water, while harder varieties produce lighter values. Since water-soluble graphite is mostly produced as grays, I am hesitant to include them in this listing. However, there is a product produced by manufacturer, Derwent called “Graphitint Pencils” that feature a range of colors. Because this medium is tinted graphite, most of the colors are quite “earthy”. Bright colors, such as yellow and orange, are not included. 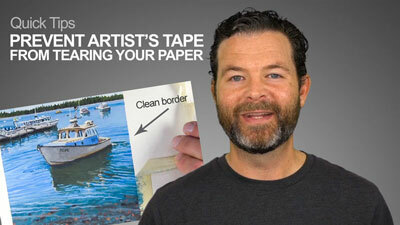 Like watercolor pencils, Graphitint pencils can be activated by applying water with a brush. It is important to note that since these pencils are technically graphite, the binder is different, making them neither traditional colored pencils or watercolor pencils. Instead, they should be considered a unique medium of their own. 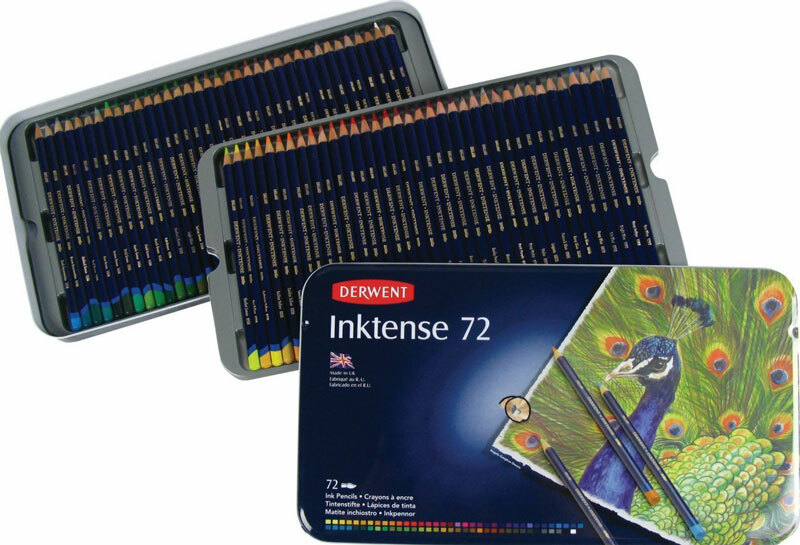 Derwent also manufacturers a product called “Inktense” pencils. Inktense pencils behave in a similar manner as watercolor pencils when applied dry, but when activated with water, the color is much more intense. Inktense pencils are labeled as water-soluble ink pencils, meaning that the binder is different from watercolor pencils. Once activated layers have dried, they become permanent like ink. 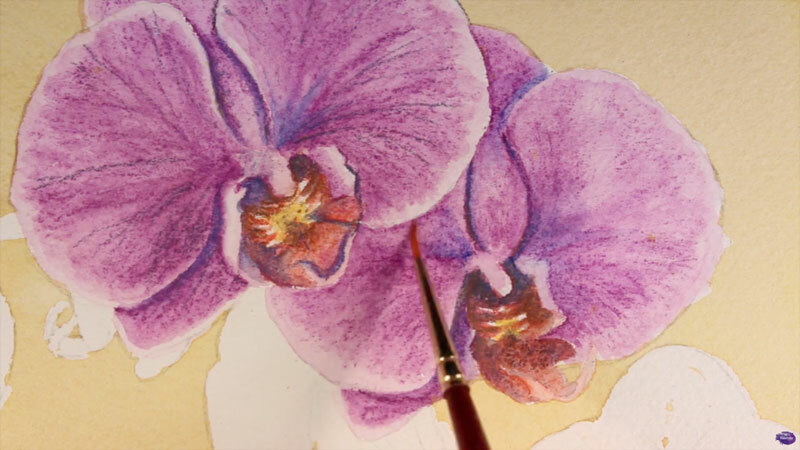 This allows for additional layers to be applied over the top, producing a glazing effect that is a bit more difficult to achieve with watercolor pencils. Because of this permanence, Inktense pencils can be used to color fabrics such as silk and cotton. To cover larger areas, blocks of the medium are also available. 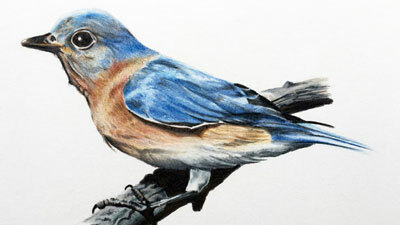 Inktense pencils make a suitable base for creating “underpaintings” in which traditional colored pencils, pastels, and watercolor pencils can be layered over the top. Although closely related to watercolor pencils, Inktense pencils are yet another unique medium often categorized as a “colored pencil”. Yet another type of “colored pencil” is a pastel pencil. Here again, pastel pencils are not traditional colored pencils. 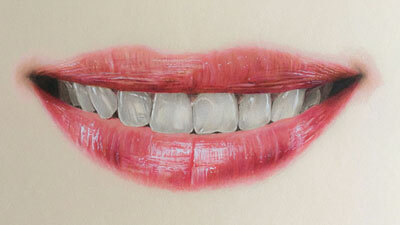 Pastel pencils feature compressed pastel material with a pencil. The medium is simply a form of pastel. 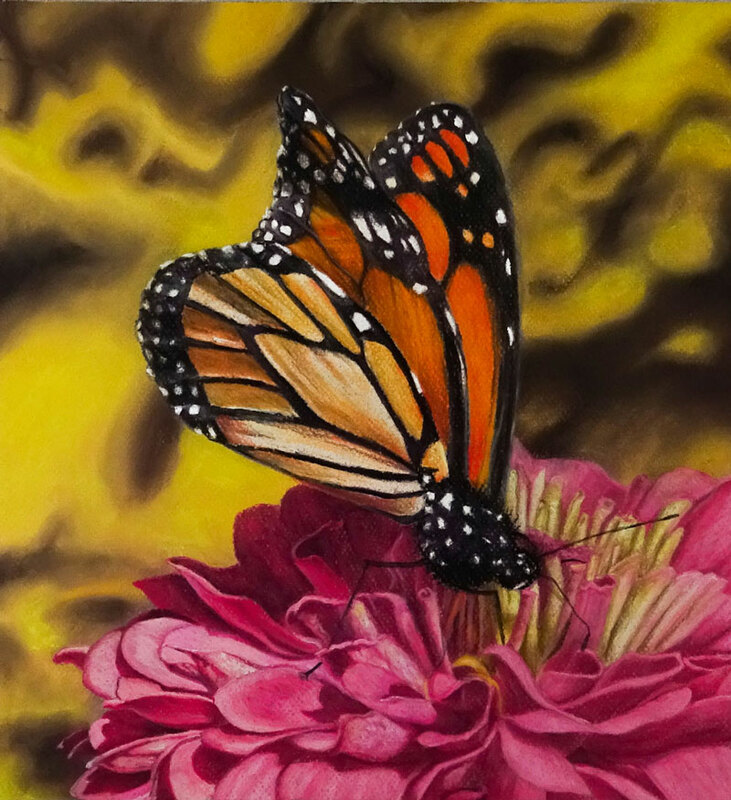 A drawing created with pastels and pastel pencils. The drawing above was created as part of a lesson series available to members. You can view this lesson series here. 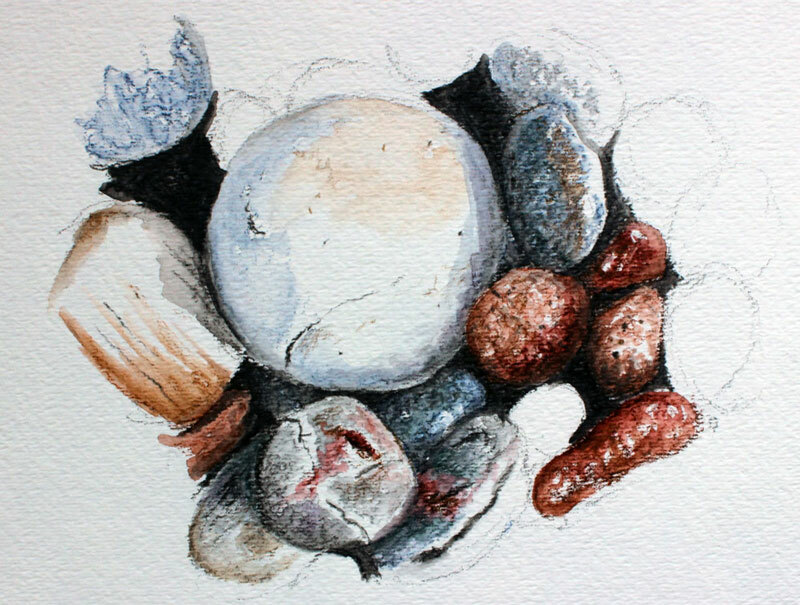 Some find it difficult to develop details with traditional soft pastels. 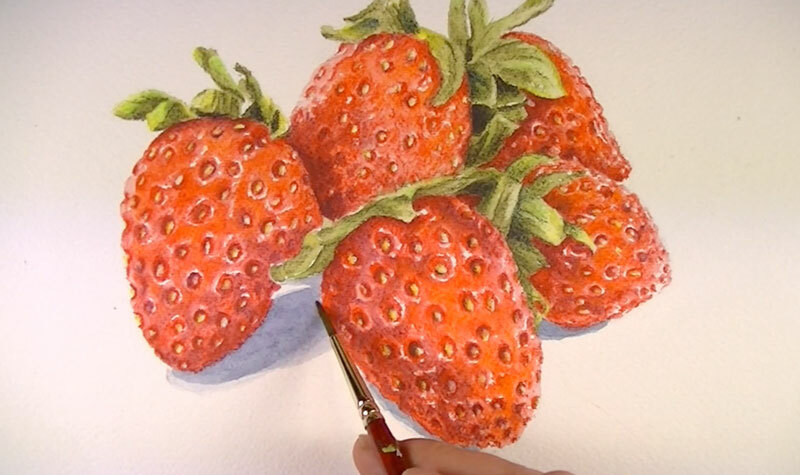 A pastel pencil allows the artist to develop details within an image without sacrificing the versatility of traditional pastels. Since pastel pencils are simply pastels, they can logically be used in conjunction with traditional soft pastels. As we can clearly see, there are a variety of different pencils out there that are “colored”. The tendency is to label them all as “colored pencils”. But as we can see here, each type of these “colored pencils” is clearly different from the next. Understanding the binder, and how it behaves, will make all the difference in your applications and in your pieces of artwork that you create with them. I think pastel pencils should be added to this list. People have been known to confuse them as “colored pencils” too … simply because of the pencil casing. Charcoal also comes in pencil form, as does Conte’s. I agree, I tried using them as coloured pencil. What a brilliant web Sight! I’ve been trying to use my products all wrong. Thankyou. I’m going to experiment and practice. I started using watercolour pencils lately. I use Czech “Mondeluz” pencils and I am staggered with their intensity. The problem is: I can’t achieve the look of a pencil burnished. I suppose I am still a novice in this medium but as far as I can see, except some cases such as Erica Lancaster and a few like artists,the application looks, um, miserable. Not far from (cheap)cartoon or a school grade even. I expected it to look like pencil painting. The pigment is awesome, as I pointed out, but there must be something I am doing wrong with application. Do you have any suggestions? Should I mix it first on a probing paper perhaps? If these are watercolor pencils, then they won’t burnish like traditional colored pencils since their binder isn’t waxy. They are designed to be activated with water like watercolor. I hope this helps.